The local fair comes around once a year and is a fund raiser for the Our Lady of Peace church. Aside from the Fourth of July Fireworks (which occur on the 3rd) there is little that happens in the town of New Providence , which translates to both events drawing sizable crowds. An assortment of chance wheels, skill games and greasy treats. As with most of these small fairs, I didn’t go on any rides because none were really that outstanding, yet good for a small fair. However, I hadn’t been on the Aladin ride in many years so I contemplated taking a spin on it but it was geared as more of a family ride than the last one I had ridden. I seem to remember the Aladin rising up to a much steeper angle than the one at this fair. Then again the last Aladin ride I had been on up until now was probably back in 1996 so it may have looked more imposing back then. Still, the ride looked pretty good with the custom theming and paintjob. The Riptide is a re-themed ARM Ali-Baba; basically all that was changed was the name and backdrop as the platform still looked like a magic carpet and everything. This was a pretty good addition to the fair as it’s compact and easy to move along with a huge draw factor. This flying carpet type ride moved a bit more slowly over the top than some others that I’ve seen, but thats common for most of the smaller 1001 Nights rides. A Huss Rainbow is virtually the same type of ride but it has a much better whip effect going over the top than these smaller 1001 Night rides. 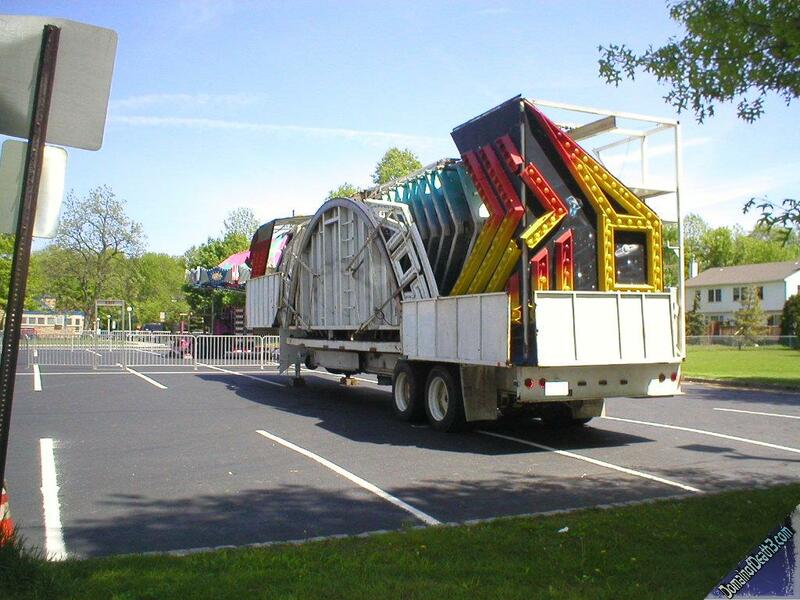 Of course the Rainbow is also montrous in height and takes two trailers to move. I was pretty surprised by the addition of a “big wheel” this year as opposed to the standard carnival ferris wheels that had been a part of the fair in the past. 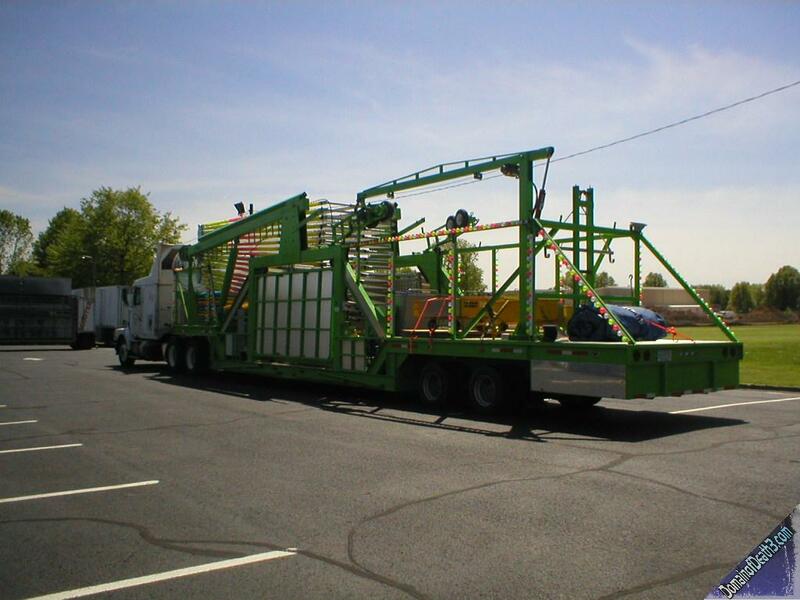 This wheel, named Gondola Wheel, racked on two separate trailers and held about four people per car. It was a great addition to the fair with a nice light package on both sides of the wheel. 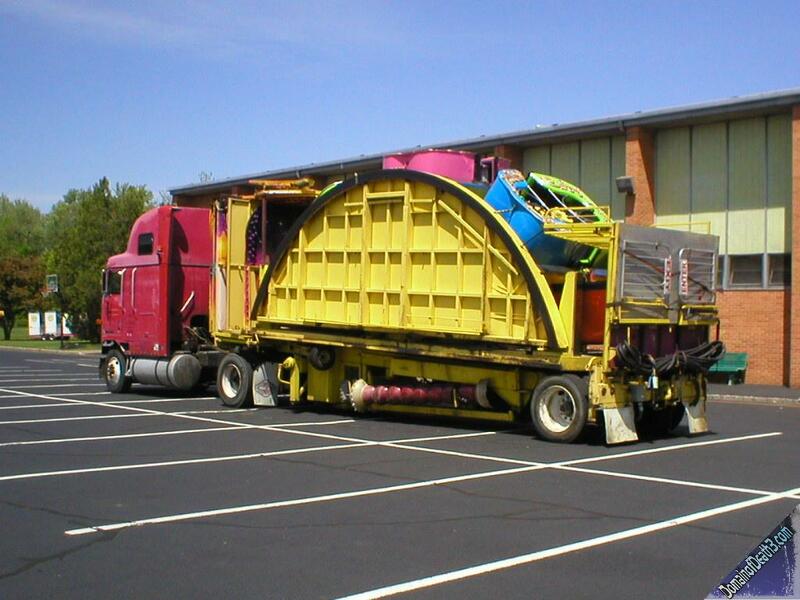 The Gravitron had a long line every time I saw it and was in great condition it seemed. 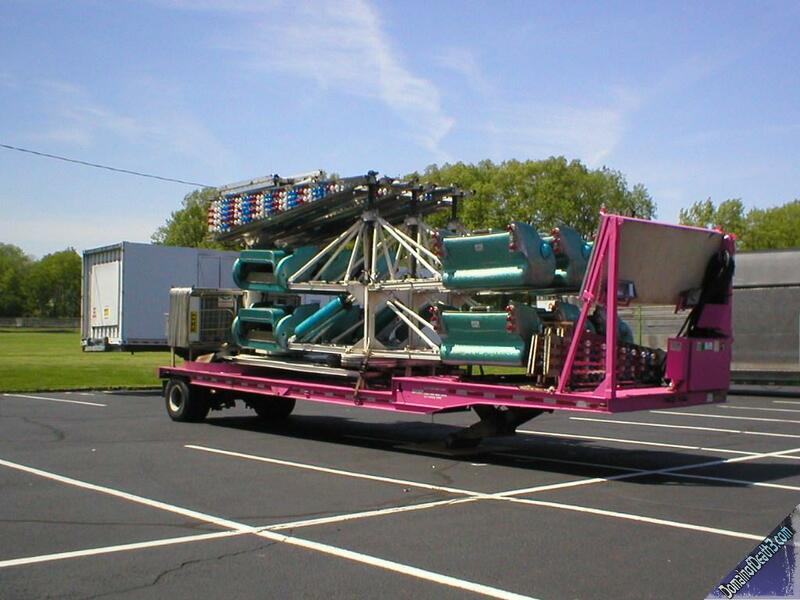 The Chair Jets, or swing ride, was the standard run of the mill swing ride where the ride op has to stand in the middle to operate it. 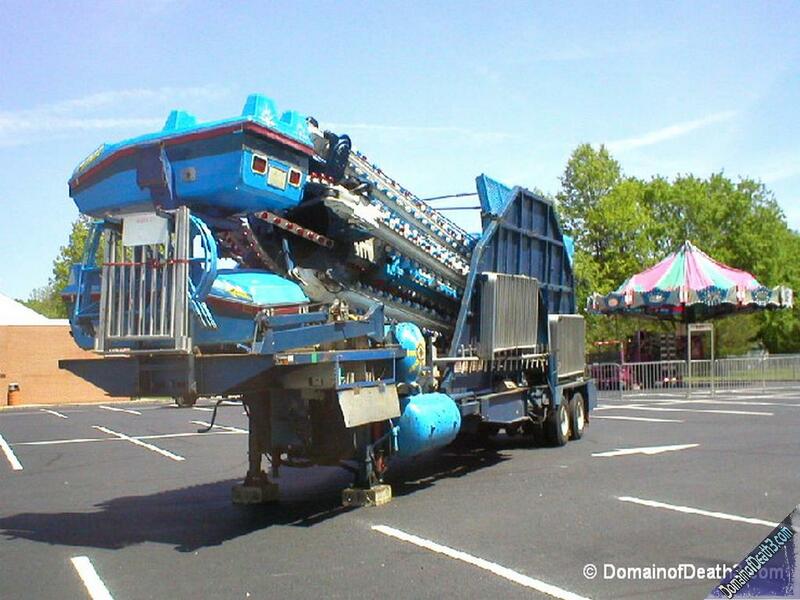 The Sizzler was also just your typical Sizzler ride, only it seemed to move fairly briskly than most others I’ve seen. The Hurricane was in great condition, even though it still read “Cookes” as in Cookes Amusements down the side of the tower. This Hurricane has been present at the fair for years now and is one of only two that I’ve seen around this area. Finally, the Scooters were the standard small arena’d version. 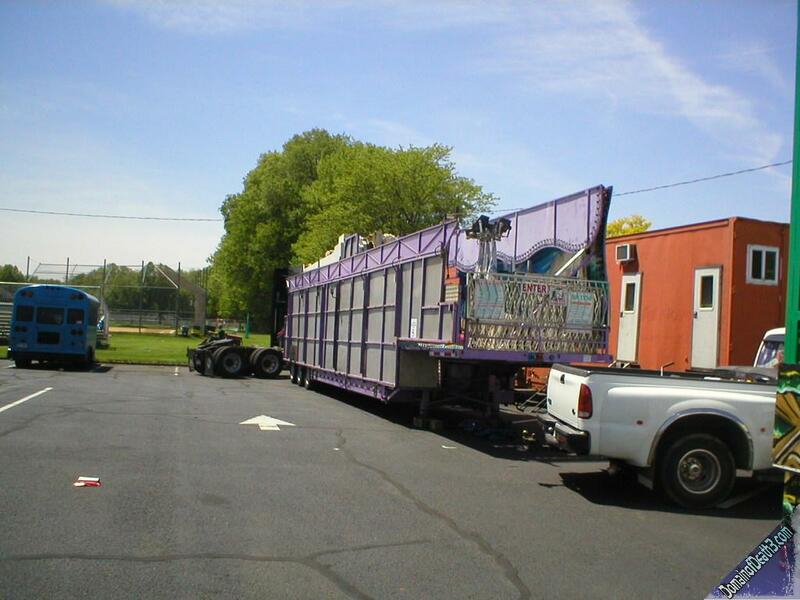 One thing that was a bit off about the fair was a sizable hole of attractions/stands near the left of the parking lot. In past years a Loop-O-Plane and food tent took residence there but this year it was left empty.